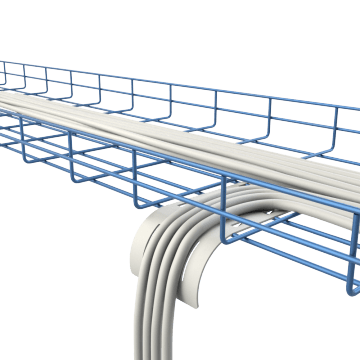 Create an open-top supportive pathway for cables. These wire-mesh cable trays can be cut to size using a cable tray cutter tool (sold separately) to fit your specific area. They have a three-sided open-top design that provides support while making cable moves, additions, and changes easy.